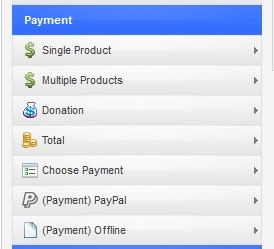 you have properly added the (Payment) PayPal field to your form. This field can be found in the Payment section of the form component. Important: In order for this to actually work, you will need to have the "Save data to database" option enabled. This option is found in the Form Properties tab.